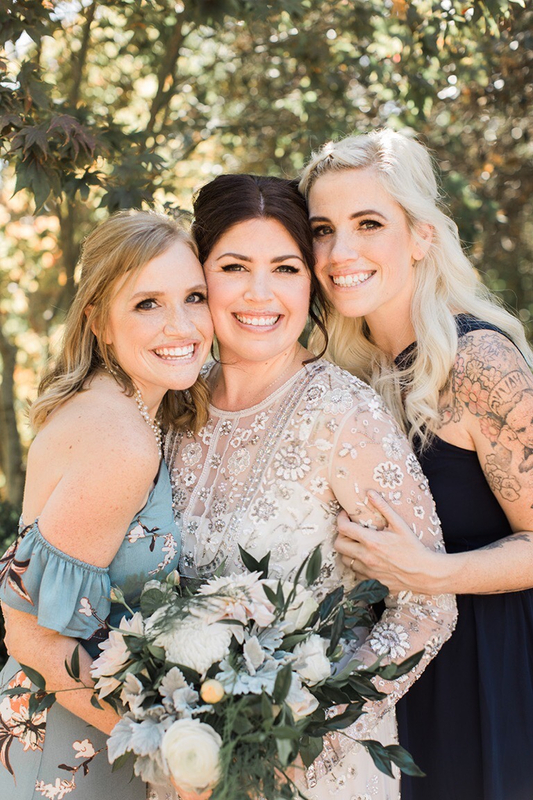 It was such an honor to do makeup for my dear friend, Erin's wedding on October 7th, 2017. I've known Erin for close to 7 years. 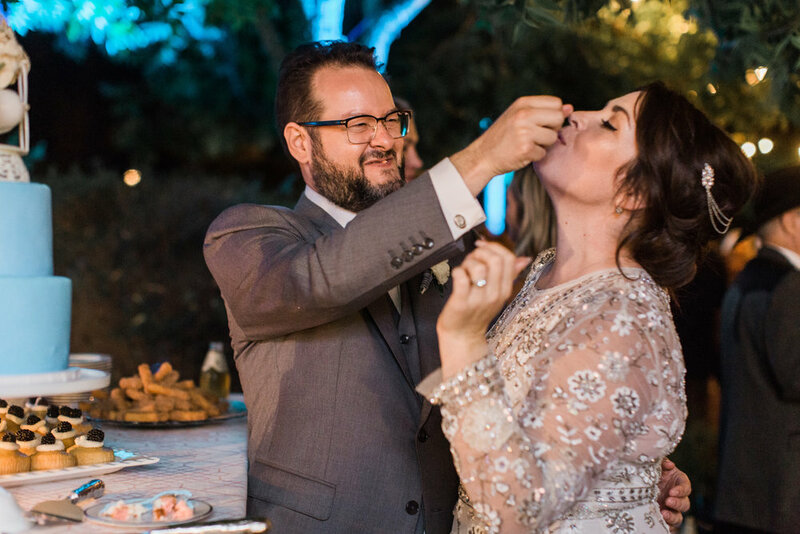 She is extremely detail oriented, thoughtful, and definitely a bit of a perfectionist- so I knew that her wedding day was going to be off the charts magical- which it was. With that being said, I also knew I wanted her wedding makeup to be just as perfect to compliment her whole look, personality, and the day as a whole. Me giving Erin a natural full brow using Anastasia Brow Wiz- my favorite. We got everyone ready in this gorgeous, super old house in Tiburon, that is now owned by Marin County. It felt like a time capsule- tying in with Erin's love of charming architecture and all things vintage. Erin chose a jeweled chain headpiece by Agnes Hart, rather than having a veil. It perfectly complimented her beaded wedding gown, from Bhldn. To tie Erin's look together, we decided on a clean, classic makeup style. She has rosacia, so without hesitation, Erin chose to get her makeup airbrushed. The airbrush makeup gives such a flawless, smooth finish, without feeling or looking heavy. I did a soft rose gold, champagne eyeshadow with a flirty cat eye, topped with individual lashes for a fluttery look. Everyone's skin looked flawless with the Temptu Hydralock foundation, Temptu highlight, bronzer, and blush. Erin and her two sisters. Faryl and I worked quick- we started on hair and makeup around 9:30, and finished close to 2, with just barely enough time to freshen ourselves up! I used my Temptu Air to do airbrush makeup on Erin, her mom, mother in-law, two sisters, and close friend/wedding planner, Ashley. 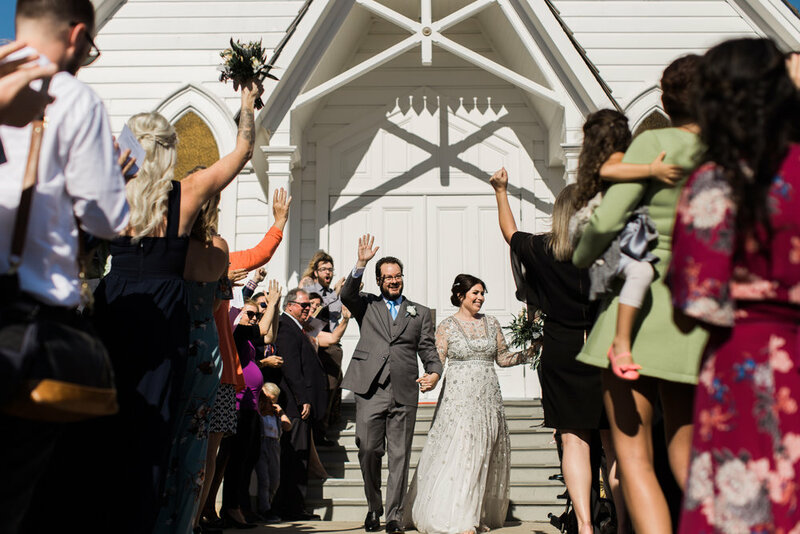 After Erin and Josh did their first look, we all piled into a shuttle and drove off to Old St. Hilary's, one of the oldest Carpenter Style Gothic Churches (1888!) on top of a wildflower preserve. Erin and Josh said "I Do" and we all exited the chapel, wiping tears of joy and filled with love as the Blue Angels flew over the bay. After the ceremony, approximately 150 guests piled into shuttles to go back to the charming old house, where the reception was. Every detail was thought out, and it was beautiful. Erin and her two ring bearers- does it get any cuter? Through the Tacolicous food, margaritas, wine, tears of joy, sweat, hugs, kisses, Erin and her family all remained looking flawless. My work was complete. Thank you Erin, for choosing me to make you even more beautiful for such a special day! Congrats Erin and Josh LeMaire!